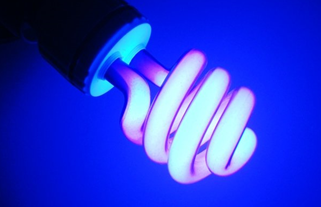 Ultraviolet light can be used in food processing to eliminate harmful and unwanted microorganisms in food. There are several types of UV, distinguishable by their wavelength: UV-A, UV-B and UV-C. UV-A and UV-B are associated with sunburns and tanning while UV-C, the shortest of the three, has been integrated into different industries – dentistry, food and water treatment are some examples – thanks to its great ability to decontaminate. UV-C treatments at 200-280 nanometers are used in the food manufacturing industry to minimize risk of cross-contamination and inhibit the spread of food illness. An energised wavelength of a band of light is shone on the product, effectively killing off bacteria, viruses and moulds. This type of UV treatment, also called deep UV, penetrates the cell walls of microorganisms and pathogens to attack DNA. The FDA refers to these treatments as “germicidal range” because of its ability to eliminate bacteria and viruses “due to DNA mutations through an absorption of UV light by DNA molecules.” The end result: a safe food product. UV light is not only used to ensure the safety of food products but to treat food contact surfaces and air in food processing plants. Hitting an area with a shard of UV light will kill any undesirable microbiological nasties in the air and on surfaces. It is worth noting that UV treatments are not allowed to be used on foods labeled as organic. The efficiency of treatment when compared to chemical treatments is unparalleled. There are no toxins of residues left from UV treatment and it inactivates virtually every food pathogen and microorganism produced by food spoilage. Emerging technology has answered the growing need for efficient UV treatments with handheld lamps and mountable treatment units. There are even home systems in development that will make UV treatments possible for the consumer. A research group based at Cornell University in New York have been working towards a more energy-efficient means of producing UV treatment. Substituting thin films of semiconductors for mercury vapour, the research group has created a deep-UV emitting LED by using different combinations of chemicals to create “quantum structures that act as UV emitters.” It’s a bit more complex than that, but I’ll leave the scientific jargon to The Engineer. The team hopes to package their LED bulb to distribute to the larger market.